There were so many interesting and innovative items reviewed in 2014, and our TrailblazerGirl editorial team wanted to highlight their pick of the top 3 (just in case you missed them last year!). 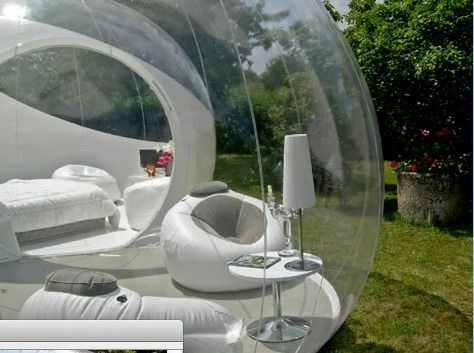 First, experience life in a bubble with GrandLodge! Providing a unique camping experience, GrandLodge consists of a spherical-shaped, inflatable half opaque pod connected to a completely transparent one. Second, the Panono Camera will change how you take photographs. This round ball, slightly bigger than a softball, is equipped with 36 tiny cameras that will simultaneously shoot to create a full 360° panoramic image when tossed in the air. Third, never be stranded on your TrailblazerGirl adventures with a dead car battery when you have JUNOJUMPR. This incredibly powerful battery (about the size of an iPhone) packs a whopping 6,000 mAh and is capable of jumping your car battery in minutes. Just a few of the innovative items reviewed in 2014 that were worth a second look and maybe an after-holiday present to yourself!